Eco balls are a natural alternative to conventional washing powder and most importantly can save you up to 80% on your detergent costs. 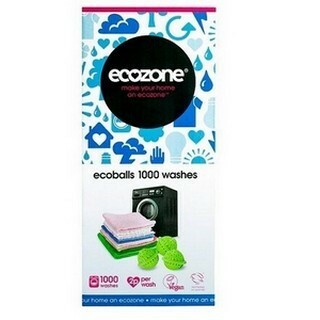 Made by Ecozone, Eco balls are available in 2 different starter packs suitable the new 240 wash pack (old version was 150 washes) or the pack which is suitable for 1,000 washes. The Ecoballs have a scientifically formulated filling which pentrates powerfully into fibres. This lifts away dirt without fading colours or damaging fabrics. Each Kit includes a eco stain remover for use on heavily soiled clothes. * Has a stain remover power comparable to the leading eco powders. 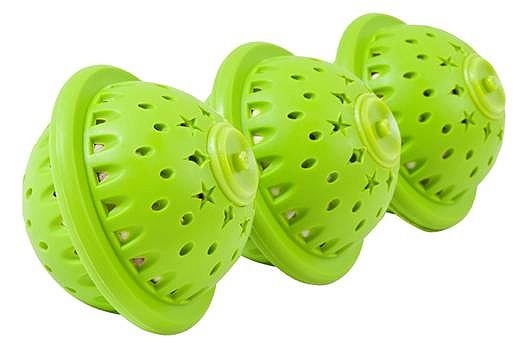 * Because ecoballs don't contain any chemicals that leave a build up in the fabric you can cut out the rinse cycle and save water if your machine allows this option. 1: Follow laundry fabric care label instructions and place load into machime drum. Never overload machine. 2: Use 1 Ecoball for smaller loaders or 2 for larger loads or loads with heavily soiled clothing. 3: Place the Ecoballs on top of the load towards the rear of the drum. 4: For best results set to wash at between 30 and 60 degrees. 5: When finished washing for the day take Ecoballs out of the drum and allow to dry. 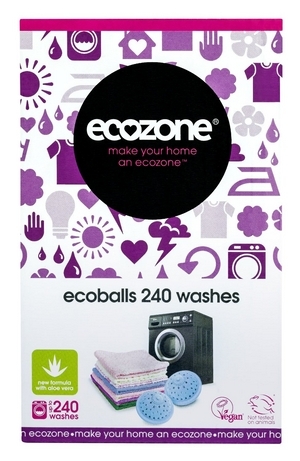 6: Do not use in tumble dryer as this will shorten the life of the Ecoballs. When to Top Up Ecoballs? When the cleaning power begins to decrease you will notice that the pellets inside the Ecoballs have decreased in size and that the balls have become lighter. When this occurs it is time for a top up. Leave the old pellets in the balls and top up with the refills that come as part of the kit. When the refills are finished you can get a eco ball refill pack here. The refill pack contains enough pellet for 1,000 washes.